How Do Grass Fertilizers Work? To prosper, grass requires basic nutrients (such as nitrogen, phosphates and potash) as well as several micro-nutrients (such as iron, manganese, zinc, boron and sulfur). Repeated growth and reseeding of grass in the same soil depletes the soil of these natural elements. Fertilizers work by reintroducing depleted nutrients to the soil, thereby providing a way for grass to continue to thrive. Without fertilizer most grasses will struggle to maintain vigor and color. Fertilizing increases growth, color, vigor, hardiness, thickens the grass and is the mainstay of having a rich dark lawn. 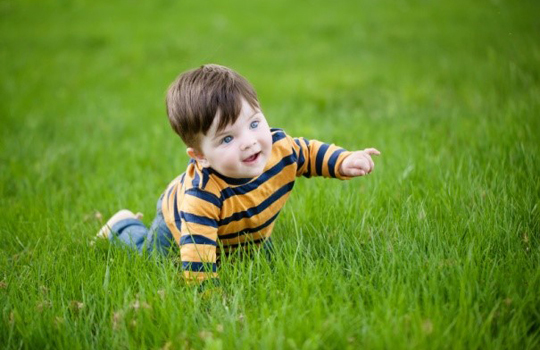 While fertilizing alone will not provide a perfect lawn, it is one the most important elements in good lawn care. The advantages of fertilizer is that it is an easily obtainable product and, when properly applied, replicates the work of mother nature by promoting healthy, hardy and vigorous grass, despite the presence of poor soil. Whether in a commercial environment or our backyard, people love the esthetics of a rich, green carpet of grass. Fertilizers make that possible by providing a simple, easy to apply method for obtaining relative instant gratification people love….in the form of lush, green grass. The disadvantage of using organic or synthetic fertilizers to replenish nutrients in the soil lies primarily in the tendency by growers to overuse them. When overused, fertilizers not only don’t help grass grow better, they can actually reduce the soil’s productivity. Too much fertilizer or the wrong balance of fertilizer can create too much top growth and not enough root growth or energy storage for recovery and over wintering of grasses. It can also burn the grass, halting its growth. Overuse of fertilizers has resulted in massive run-off to waterways, an overabundance of which can cause excess algae growth. Fertilizers are also expensive. Overusing them is not only detrimental to the health of grasses, the environment and people, it cuts into grower profits. Fertilizer boosters like BioWash are specifically formulated additives, designed to help plants more efficiently and effectively use available nutrients and moisture from the soil and from the added fertilizers. This efficiency results in optimum plant growth and health while encouraging less dependence on fertilizers. BioWash is the crème de la crème of fertilizer boosters. This proprietary blend of processed plant extracts has been found to be an amazing facilitator of improved root growth and stem development in grasses. By enlarging the roots of grass, the plants are better able to take up the nutrients and moisture already available in the soil, reducing the need for as much added fertilizer. This translates to less cost to the grower and fewer impacts on the environment and on people. 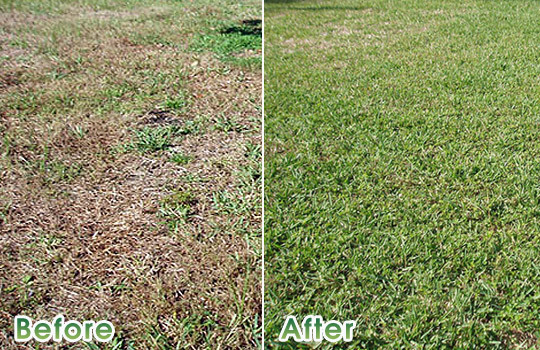 Grass is particularly subject to attack by pests and disease. Field results reflect that BioWash helps increase production of BRIX (plant sugar) in plants, which is known to make them more insect and disease resistant (some insects do not digest plant sugar well). This translates to less money spent on insecticides. BioWash is very inexpensive to apply (averaging about $5/acre), making it an extremely cost-effective adjunct to lawn care. A better grass product, less fertilizer and insecticide use, at less cost to the grower and the environment…… Hard to beat combination!